UPDATED: Tue., Aug. 14, 2018, 7:47 p.m. Between 2011 and 2017, Anheuser-Busch bought 10 craft breweries from coast to coast, beginning with Chicago’s Goose Island Beer Co. and ending (for now) with Wicked Weed Brewing of Asheville, North Carolina. In between, it picked up breweries in Oregon (10 Barrel), Virginia (Devils Backbone), Seattle (Elysian), Los Angeles (Golden Road), Houston (Karbach) and the metro areas of Phoenix (Four Peaks), Denver (Breckenridge) and New York City (Blue Point). The nation’s largest beer company dabbled at the edges of the burgeoning craft beer movement, but its backbone remained the brands to which craft beer was largely a reaction – Bud and Bud Light, Natural Light and Michelob Ultra, and whatever odd innovations might tempt a new generation of consumers, be it Lime-a-Rita (a hit) or Tequiza (a miss). But this summer, a torch has quietly been passed: By at least one metric, Anheuser-Busch – the same Anheuser-Busch that made no authentic craft beer a decade ago – is now the nation’s largest craft beer company. How did a company that made no craft beer a decade ago become the nation’s top manufacturer within a mere seven years? Anheuser-Busch’s shopping spree appears to have paid off. Last month, industry newsletter Beer Marketer’s Insights reported the beer giant has surged past Boston Beer and Sierra Nevada in 2018 to become the nation’s top craft beer company in terms of dollar sales. The numbers were crunched from data provided by Chicago-based market research firm IRI Worldwide. In year-to-date sales through June 3, Beer Marketer’s Insights reported, Anheuser-Busch’s acquired craft brands grew 20 percent to $107.3 million of sales. Sierra Nevada was up 2 percent to $100.7 million, and Boston Beer was down 6.5 percent to $94.4 million. While Boston Beer clings to a tenuous lead in terms of the amount of craft beer sold, it likely won’t for long. 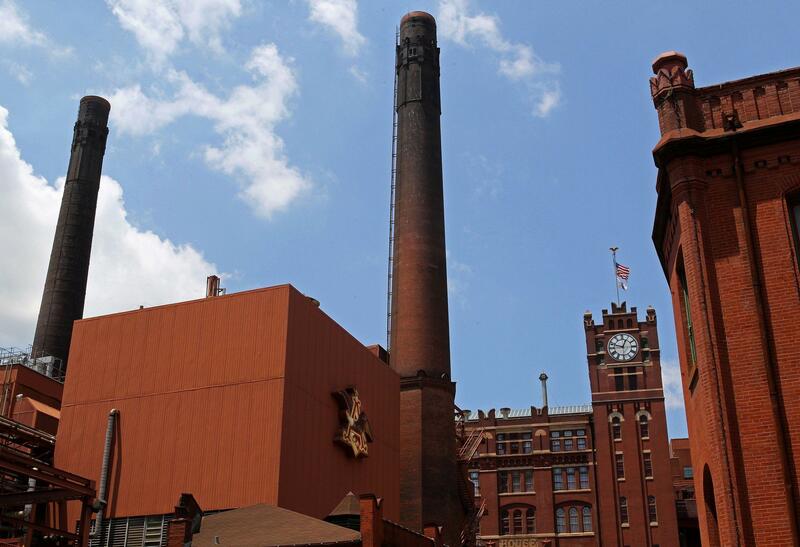 Anheuser-Busch’s portfolio of acquired breweries is poised for years of growth. Boston Beer, meanwhile, has declined in recent years as the overall beer industry struggles against wine, spirits and legal marijuana. In other words, the company behind the King of Beers is also on its way to becoming the King of Craft Beers. An Anheuser-Busch spokeswoman did not respond to a request for comment. Indeed, 10 years ago, craft brewers could largely sell themselves as the antidote to Big Beer. Now they’re battling Big Beer. MillerCoors, Constellation Brands and Heineken have all bought American craft breweries, too, but no large beer company has made a more forceful entry into the business than Anheuser-Busch. Its 10 acquisitions allow it to compete as a local, regional and national player from coast to coast, sending beer into the market through a loyal and powerful distribution network. It became particularly magnified for Metzger when Anheuser-Busch bought its ninth craft brewery, Houston’s Karbach Brewing, in 2016. The strategy had crept into his backyard. “If they’re gaining, then somebody’s got to be losing,” Metzger said. Before its shopping spree, Anheuser-Busch did attempt various versions of craft beer, most notably under its Michelob banner: Michelob HefeWeizen, Michelob Pale Ale, Michelob Hop Hound, Michelob Ginger Wheat and Michelob Winter’s Bourbon Cask Ale, among them. It also used craft beer to attempt to confuse the marketplace, such as introducing Pacific Ridge Pale Ale in 1996 as a thinly veiled copy of Sierra Nevada Pale Ale. Its biggest success was Spring Heat Spiced Wheat, later rebranded Shock Top. But such brands have never been considered actual craft beer by Beer Marketer’s Insights (or many beer drinkers) because they largely competed as Big Beer brands – made in larger batches and distributed far more widely and aggressively – than most craft beers. As classic macro brands lost share and craft beer continued to grow, Anheuser-Busch eschewed its half-baked efforts and started buying the brands it could never create, starting with Goose Island. It also launched a division to manage its craft portfolio, The High End, and declared a goal of building the nation’s top-selling craft portfolio. Beer Marketer’s Insights has continued to analyze sales from Anheuser-Busch’s 10 acquisitions as part of the craft industry, and it is those sales that have collectively claimed the top spot based on the IRI data. Its lead horse, Goose Island, had a rough 2017, and 2018 is proving just as difficult. In early August, the Goose Island portfolio was down double digits across the previous three months, according to Beer Marketer’s Insights. Sales were down for several of Goose Island’s major brands – IPA (down 0.3 percent), 312 Urban Wheat Ale (down 11 percent), Green Line (down 35 percent) and Four Star Pils (down 41 percent). Sales for Blue Point and Devils Backbone have also been down from a year ago, Steinman said. But here’s where the power of Anheuser-Busch’s aggressive strategy pays off: When some brands suffer, others soar. Elysian’s Space Dust IPA continues to be a rocket and even surpassed sales of Goose Island’s IPA as Anheuser-Busch’s top-selling IPA, according to IRI data. (Goose Island IPA continues to enjoy nationwide dominance on draft, however, because of the powerful Anheuser-Busch distribution network.) Karbach is also growing rapidly. The Brewers Association, a Colorado-based trade organization, has spent recent years drawing attention to Anheuser-Busch’s entry into craft beer, including “Take Craft Back,” a mock effort to crowd-source $213 billion to buy Anheuser-Busch’s parent company, Anheuser-Busch InBev. Craft brands owned by Anheuser-Busch feature little-to-no acknowledgement of their corporate roots. Herz said Anheuser-Busch likely wouldn’t have had such an easy march to the top of IRI sales data if consumers had more awareness of who owned the brands. The logo has been adopted by more than 3,600 craft beer companies, Herz said, including on packaging and in brewery taprooms. Among the breweries unable to use the logo are the 10 bought by Anheuser-Busch; they’re ineligible because of their ownership. Published: Aug. 10, 2018, midnight Updated: Aug. 14, 2018, 7:47 p.m.